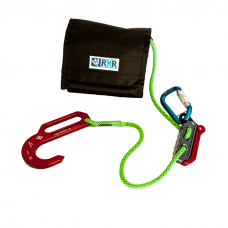 Developed for Rock-N-Rescue by Sterling Rope, Nylon Personal Escape Rope is the most cost effective solution for those who want the ability to escape from a structure without the higher cost of a Technora or Aramid fiber based rope. Even though the melting point of nylon fibers is lower than the more expensive fibers, recent tests done with a remote anchor that was exposed to 635 degrees, the rope did not fail in any of the tests conducted before 9 minutes. Nylon fiber makes a lightweight, compact more supple rope that is easier to stuff and use. It also works great with the F4 and new FCX escape devices that are on the market today. 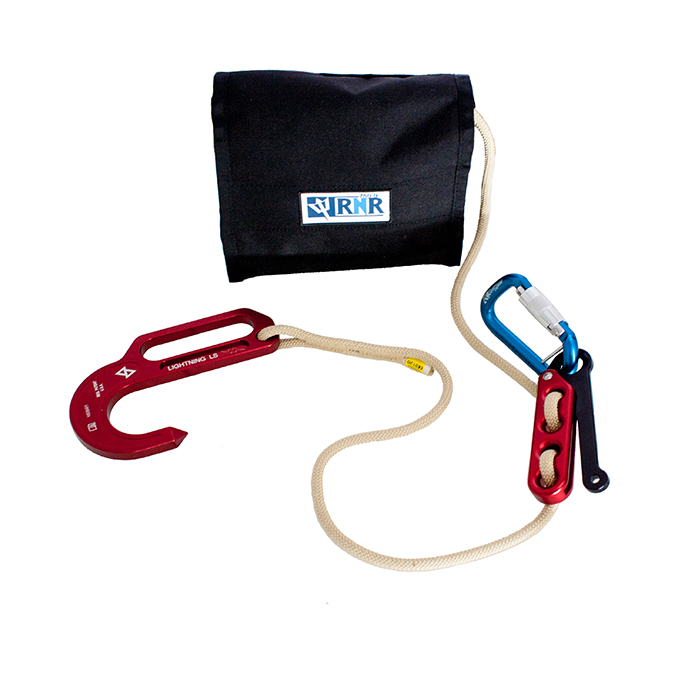 Although we hope that you never have to actually use this item in an emergency, rest assured that if the need to use it arises in an emergency, this product is backed by years of research and development, testing and actual field work. Color: Neon Green with blue tracers. Made in USA. Meets NFPA 1983 for Escape Rope. Developed for Rock-N-Rescue by Sterling Rope, Safe Tech Escape Rope is a more cost effective solution for those who want the high heat resistance of an all Technora escape rope without the higher cost. Safe Tech combines the high heat resistance of Technora into it’s sheath with the strength and better elongation properties of a nylon core into a single, more cost effective package. 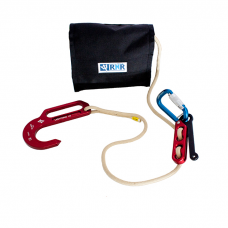 Although we hope that you never have to actually use this item in an emergency, rest assured that if the need to use it arises in an emergency, this product is backed by years of research and development, testing and actual field work. 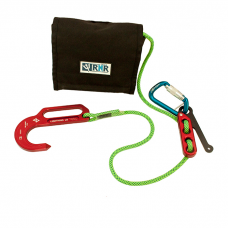 The rope can be purchased separately or with one of three different anchor hooks sewn on. The ropes with sewn anchor hooks each come with 50 ft. of rope. Meets NFPA 1983 for Escape Rope. Made in the U.S.A. 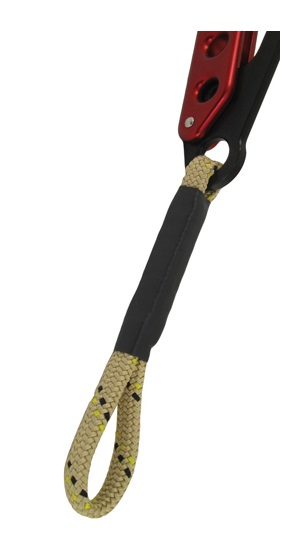 Developed by Sterling Rope for Rock-N-Rescue, the new FireTech2 is an improved version of the popular FireTech, the escape rope choice of the FDNY personal escape systems. 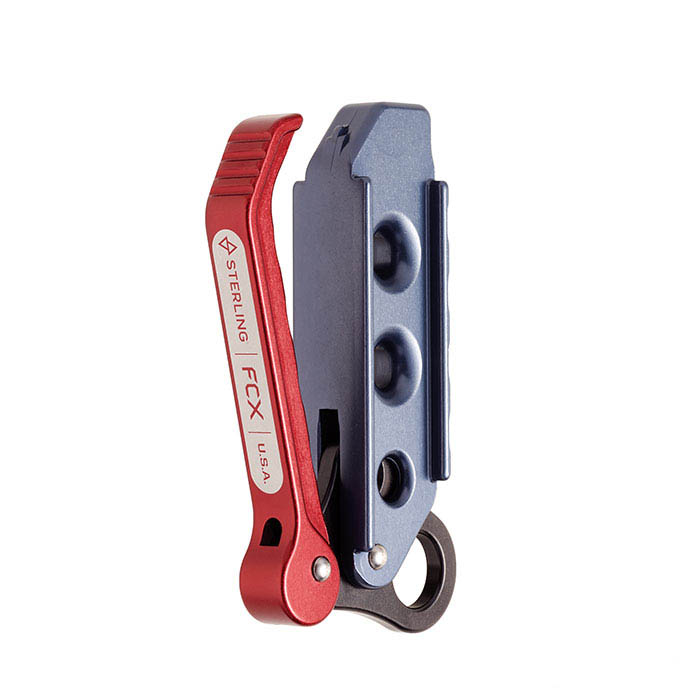 FireTech2 is now slightly lighter weight and has a softer hand to make it easier to use with the F4 and the new FCX descent devices. Although we hope that you never have to actually use this item in an emergency, rest assured that if the need to use it arises in an emergency, this product is backed by years of research and development, testing and actual field work. 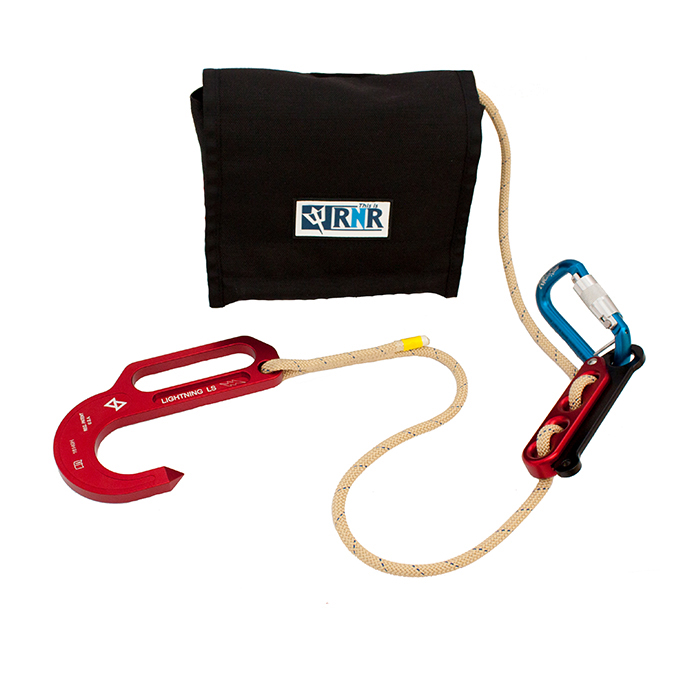 The rope can be purchased separately or with one of three different anchor hooks sewn on. The ropes with sewn anchor hooks each come with 50 ft. of rope. 7.5mm high heat resistant, 100% Technora kernmantle construction. Meets NFPA 1983 for Escape Rope. Made in the U.S.A. 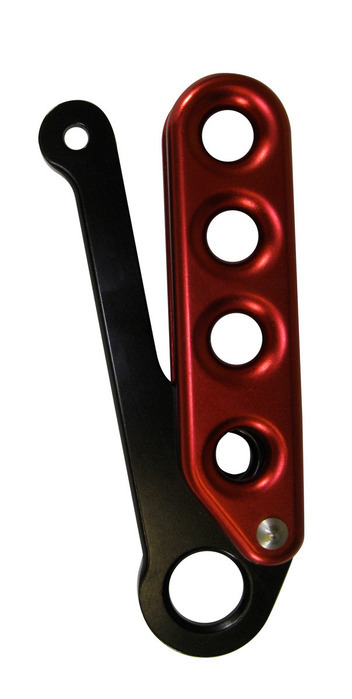 The innovative F4 from Sterling gives firefighters an advanced, yet simple to use tool for emergency egress. 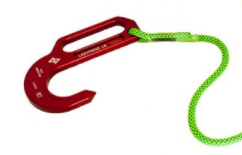 The F4’s sleek, lightweight design is compatible with Sterling’s 7.5 mm to 9 mm escape ropes. The auto-locking feature adds security and confidence for a hands free exit of the structure. Engineered to allow easy horizontal movement. The low profile shape will pack easily in many bag styles. Color: Red or Black. Made in USA. 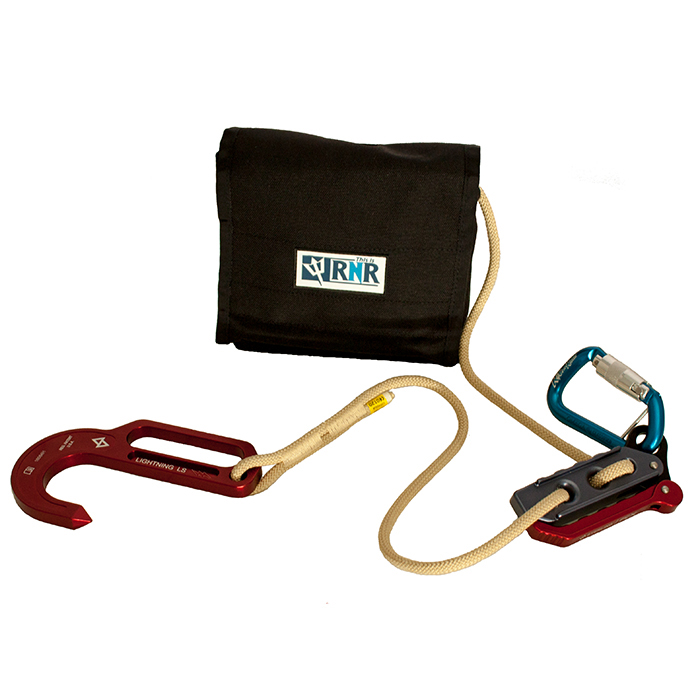 Sterling’s most advanced self-rescue device puts control in your hands with superior descent control and panic protection. Made in USA. 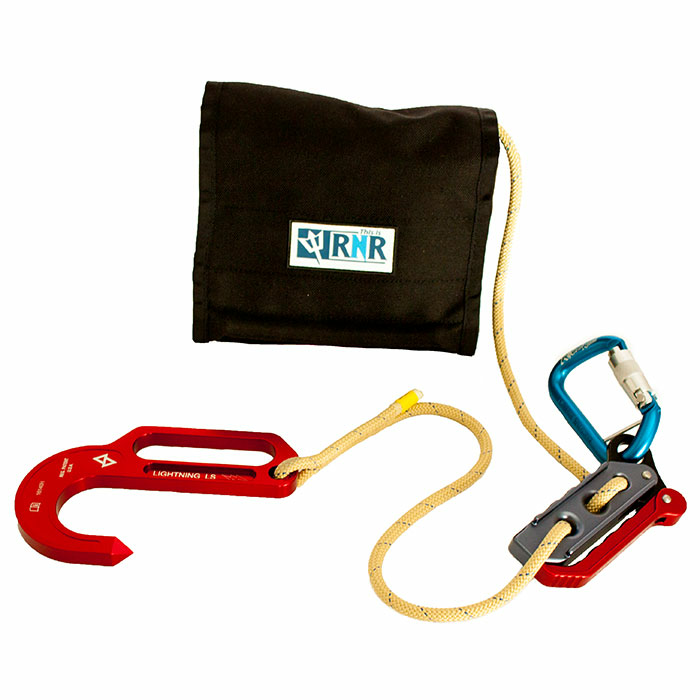 The Tech Extension is used to help extend the users rappel device, such as the Sterling F4, away from the harness. It is particularly helpful when using escape systems that are stored in a pocket. Made in USA. Students taking the program get both classroom training and hands-on experience practicing the actual “bailout” process. Students are required to provide their own P.P.E. gear – gloves, helmet, turnout gear and an escape harness. R-N-R will provide ropes and other equipment needed for the class. SCBA is optional if the student would like to practice with it. Average class length is 12 hours. *1410.00 savings is based on 6 students at a normal price of $235.00 per student. Students attending this class will be qualified to conduct training classes for their members at there own location. This alone will afford you considerable savings in the future by allowing your qualified trainers to conduct in house training.